This morning I was driving to church to attend my weekly bible study. I love praying aloud in the car. It is the only place I am always alone and no one but God can hear me. There are no disruptions. I can not answer my phone as driving and talking is illegal in California. I know that as I have already been pulled over twice. So this is the one of the most peaceful times I have to pray. I came to a time in my prayer where I asked God to impress on my heart anything He desired. I drove silently, waiting for Him to speak. It dawned on me that I was driving in the fast lane and that this was a pattern for me. It had nothing to do with the speeding ticket, laying on the kitchen counter, due to be paid (Yes, my driving record is not flawless). I actually live in the fast lane of business and over commitments. I long for slow walks in the mountains with my dog Pencil, leisurely lunch with friends and time to read the many books I have started but remain unfinished. I have so many commitments that I can not afford to move to the slow lane. 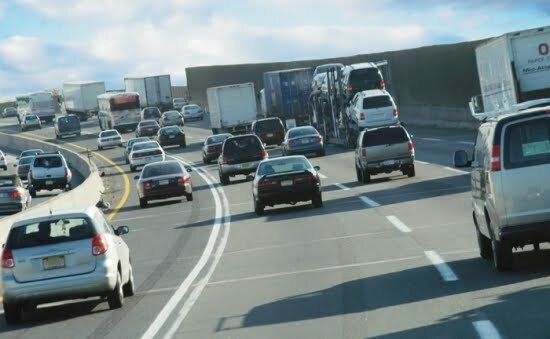 As I was listening for God to speak, the fast lane came to a sudden halt and I was sitting, unmoving on the interstate. Could He have said it any plainer? I did not need to move to the slow lane, I needed to get off the road all together and just stop. I always think, “Next week will be less busy. Next week I will have more time” However, next week never comes. So here I sit, back at home, silent and still for a few moments until my family returns and life gets crazy again. But I am making a decision. I am going to take out my calendar and write, in permanent ink, a day next week, not to just move to the slow lane, but to stop. I will take a walk, not just with Pencil but with my Bible and my notebook. I will stop someplace on the way where there are no people, no noise and no cell phone. I am going to take some time for me. One cannot erase permanent marker. ‘Next week’ will come! This entry was posted in hearing God, over commitment, tiime management. Bookmark the permalink. >This literally describes the way that I have been feeling to a "T". Thank you so much for sharing. I'm glad I'm not the only one. >Lovely post. I need a lot more alone time with God. I am encouraged to do the same. xoxo.